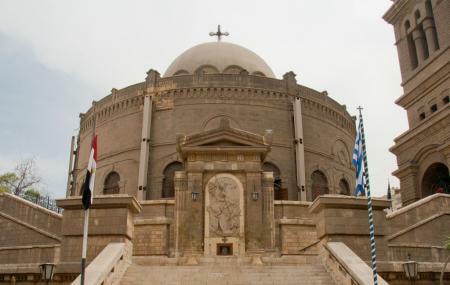 The Coptic Church of St. George was built in 684 AD by the Athanasius who were extremely wealthy. The interiors and exteriors of the church are commendable. There is a large walking area in the exterior part of the church premises. The Girgis metro station is a stone throw away. The Coptic Church of St. George is an oasis of peace and tranquility and comes highly recommended by tourists and locals. It is wise to dress modestly. Love this? Explore the entire list of places to visit in Cairo before you plan your trip. Fancy a good night's sleep after a tiring day? Check out where to stay in Cairo and book an accommodation of your choice. How popular is Coptic Church Of St George? People normally club together Pyramids Show and Al Rifai Mosque while planning their visit to Coptic Church Of St George.